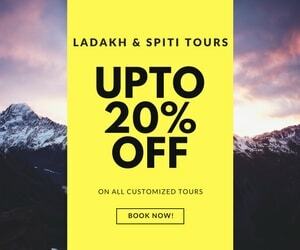 My husband and I want to travel to Leh (from Delhi) between 15thJune to 13thJuly – using either public transport or shared taxis or join anyone who’s driving themselves. We’re open to going from Srinagar to Leh OR Manali to Leh. Does anyone have 2 seats in a self drive/or share cab? I and my wife will be traveling to Leh from Manali on the 18th of June. We will be traveling by cab. We too are looking for a couple to share the taxi with. If you’re interested feel free to get in touch. My email id is [email protected]. We were a group of 8 family members travelling from Jammu to Leh. We travelled with Noor Mohd, (9419890787) in Leh. Along with the warmth he possess, he is a very safe driver. He makes sure to keep every age group comfortable and satisfied. It was a beautiful experience with him in Leh.He is a fun loving person and a perfect driver for difficult roads of Leh. Thanks a lot for taking time out to update here on forum. I would request mods to shift the post to the appropriate thread and include Noor Mohammad in the list (if it is not there). Thank you so much for sharing the details, have added him to the list. In three weeks I am going to Leh where I want to stay 2 days and then I want to explore the Nubra Valley – Turtuk, Lake Pangong. Do I have to book a car (taxi) beforehand? Is it enough to do it when I arrive? Does the hotel help with booking a taxi? You can book it on the spot. You can carry the print out od driver contacts list from the list of taxi drivers thread. Hi, am riding solo to Spiti on RE-Himalayan on 20th October via Manali… I intend to stay at and around Spiti for 2 weeks..am 54 but generally fit. I am caring my tent and want do camping. Can some one guide me for this trip. congrats anil and all the best for your trip. Since you are starting Oct 20 via manali, and since Rohtang and Kunzum have already received the first snowfall, please double check road conditions with locals before proceeding. Also, since it is very late in the season, I recommend that you skip Chandertal. Thanks Sivasubramanian for your kinds words. Yours appreciation keep us motivated. Happy and thrilled to join the community, looking forward to contributing to the community and have many memorable rides with like-minded passionate riders. Thank you DoW – Himalayan Travel Community for providing such a wonderful platform. I want to know about what is minimum cost of Himalaya tour for 15days??? Hello. It really depends on where do you plan to visit and what kind of accommodation you choose for yourself. 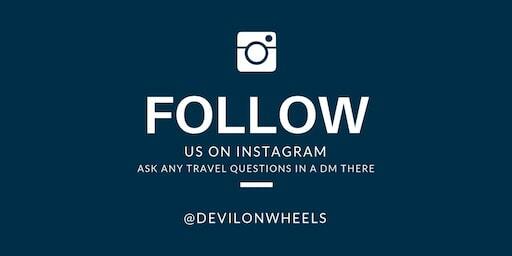 The topic ‘Launch, Focus and Vision | DoW – Himalayan Travel Community’ is closed to new replies.